Seattle architect Elmer Ellsworth Green was born on January 8, 1861 in Janesville, Minnesota. While his formal training is unknown, documents show that Green gained practical experience by working in California (1887-1893) for the Pacific Manufacturing Company. Likely at the urging of his brother, Green moved to Canada and became superintendent of the Giant Powder Works at Telegraph Bay in Victoria, B.C. (1896-1903). 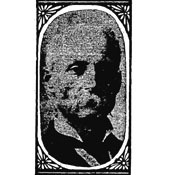 Polk Directories indicate that Green had moved to Seattle by 1903 and was initially working as a draftsman at an unknown business. The 1905 directories list him as a carpenter, however by 1908 he was billing himself as an architect. Reportedly that year he formed a short-lived partnership with William C. Aiken. The only known projects attributed to the partnership are the Beaumont Apartments (1909) in Seattle; and the Union Power Co. Plant near Marysville (1909). After re-establishing his own firm within a year, Green won first prize for a “best bungalow design competition” sponsored by Lewis Publishing Co. of St. Louis, owner of The Woman's Magazine and Woman's Farm Journal. Such publicity may have given Green an entree into a variety of commissions in Seattle. During this phase of his career he provided designs to the Bungalow Construction Company Limited in Victoria B.C., which specialized in building "California Bungalows." The company advertised in Jud Yoho’s Seattle based, Bungalow Magazine. "The designing of an artistic and practical Bungalow or residence of any kind requires much skill and education, together with practical knowledge of building construction. When I started to fit myself for the Architectural profession I firmly believed that a man had no moral right to call himself an Architect until he was thoroughly familiar with all kinds of building construction...Before taking up the study of drawing I spent several years with the best and the most experienced buildings I could find, and learned thoroughly the mechanical end of building construction. After becoming an expert in that line I took up the study of drawing and design, and now with twenty-five years experience on high-class work, I believe that I am in a position to give the very best service that money can buy." Green emphasized that his plans were designed for the northwest climate and topography; his houses had basements, unlike other popular plan book homes designed for California but adapted to other environments around the country. Green also allowed a homebuyer to customize a design by paying extra for a more detail on the interior and/or exterior. Green closed his Victoria office in 1915. But continued to practice in Seattle until at least 1923. He died in Eureka, California on February 18, 1928 while visiting his daughter. He is buried in Santa Clara. To date over 100 known designs have been identified in Seattle, which range from modest houses to apartment complexes most with a refined Arts & Crafts aesthetic. Apartment projects include the A.S. White Apartment (1909); the Ben Lomond Apartment Hotel (1910); and the Bostonian Apartments (1913). Known single family homes include the Benjamin & Bertha Gates House (1018 E Roanoke St., 1909); the Aaron Anderson House (816 E Shelby St, 1910); the Frazier & Mary Boutelle House (2540 34th Ave S, 1912); the Lloyd & Anna Hillman House (2230 34th Ave S., 1912); the Charles & Maud Betterton House 2601 Broadway, 1912) ; the Clifton A. Stuart House (3535 34th Ave SW, 1913); the Roy & Mary Bloss House (4055 SW Holgate, 1915); and the William & Vina Felger House (1104 Federal Ave, 1915). The American Architect - May 11, 1921. The American Architect - September 8, 1909. The American Architect - February 16, 1910. Pacific Coast Architect - June 1912. Advertisement -"E.E. Green" The Coast - June 1909.